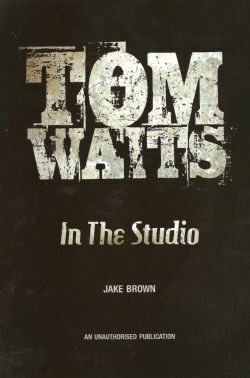 Throughout the pages of Tom Waits: In the Studio, the creative processes behind the writing and recording of career highs, ranging from ‘The Heart of Saturday Night’ and “Raindogs” in the 1970s and 80s, “Bone Machine” and “Mule Variations” in the 1990s and “Blood Money” and the more recent “Orphans, Brawlers, Bawlers and Bastards” in the new millennium, are explored via interviews with engineers and producers and quoted commentary from Waits’ himself. Grammy-winning singer/songwriter Tom Waits has ridden his own trends for the better part of forty years, defying any and all notion of convention outside the context of his own sub-genre, which, according to ASCAP, has led him to become “one of the most unique voices ever heard in pop music”. Over the course of nineteen studio LPs, Rolling Stone Magazine has come to conclude that “Tom Waits sound is unmistakable,” while the New York Times has enthusiastically hailed him as “the poet of outcasts”. Waits unique sound has mutated over his career and proved near impossible to mimic, although many have tried. Throughout the pages of Tom Waits: In the Studio, the creative processes behind the writing and recording of career highs, ranging from ‘The Heart of Saturday Night’ and “Raindogs” in the 1970s and 80s, “Bone Machine” and “Mule Variations” in the 1990s and “Blood Money” and the more recent “Orphans, Brawlers, Bawlers and Bastards” in the new millennium, are explored via interviews with engineers and producers and quoted commentary from Waits’ himself. An investigatory thread runs throughout the book, and the treasure trove of information and insight will prove a must for any fan of this most enigmatic and revered of craftsmen. Waits large fanbase is both international and diehard. His famously infrequent (and highly priced) concert tours sell out in moments, and his acting career has raised his profile even further, particularly recently, via a fantastic performance in Terry Gilliam’s The Imaginarium of Doctor Parnassus . - Offers fans the most thorough behind-the-scenes look at Waits' creative process.